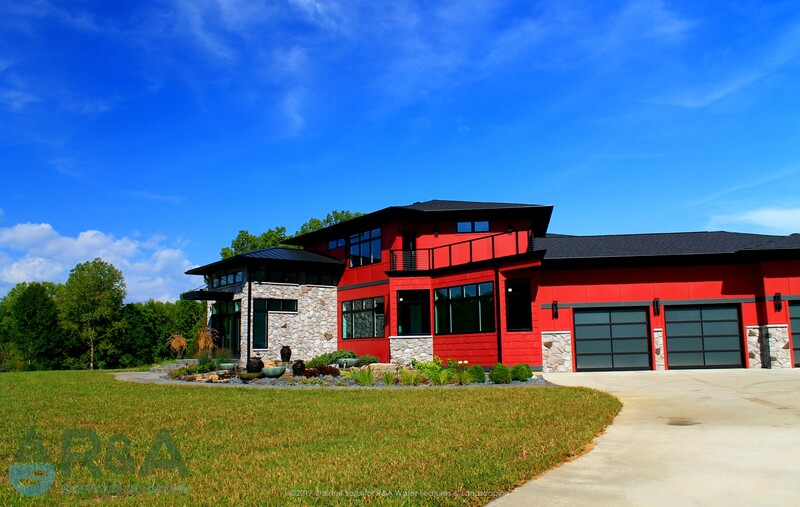 These clients were referred to us by the owner of a local home entertainment business. 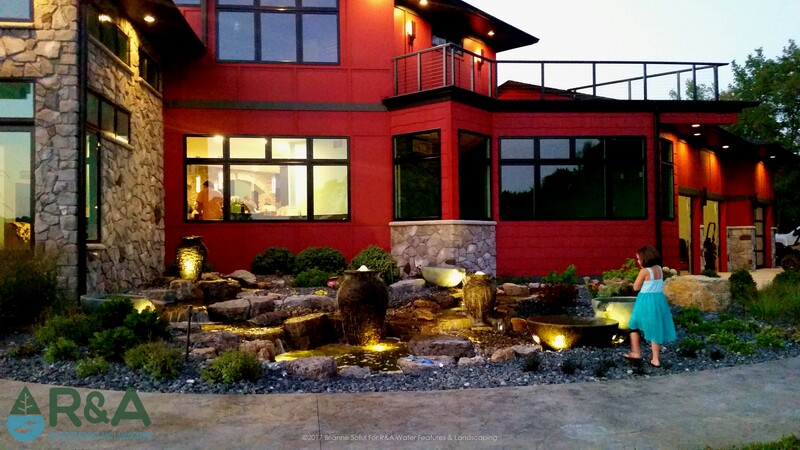 This Vicksburg family was looking for a their whole landscape to be transformed. 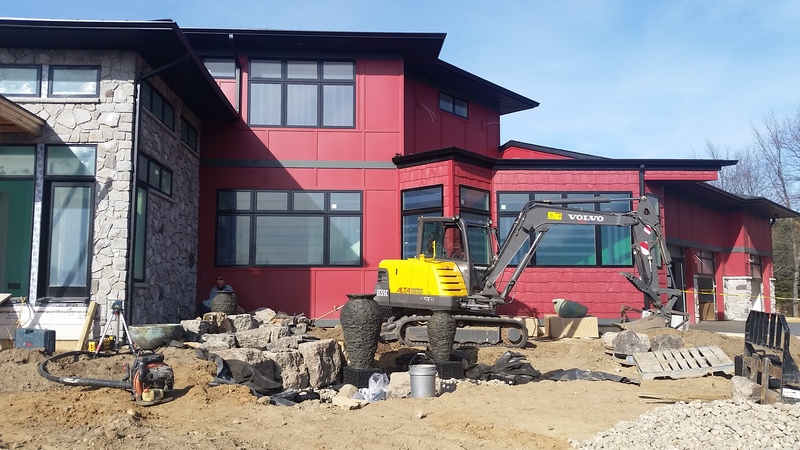 Since they had just finished their newly built, one-of-a-kind home, they were looking for an equally unique landscape. 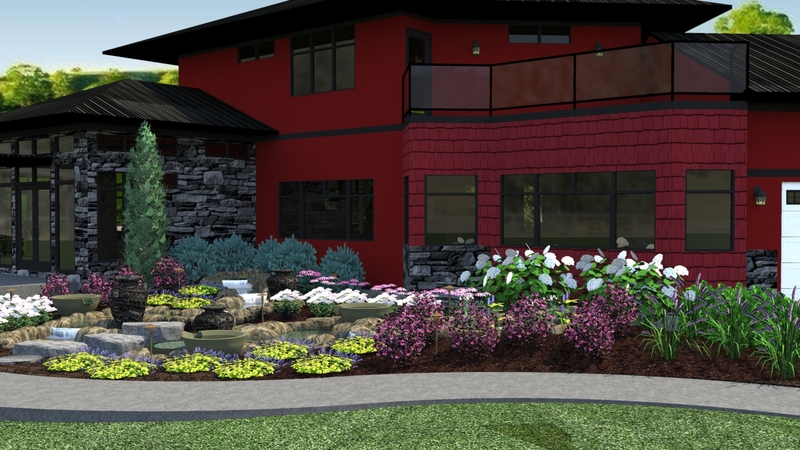 Their first goal was to have a water feature that "no one else has", something that would 'wow' friends and family, be enjoyable for their kids, and could also be heard from the deck above. 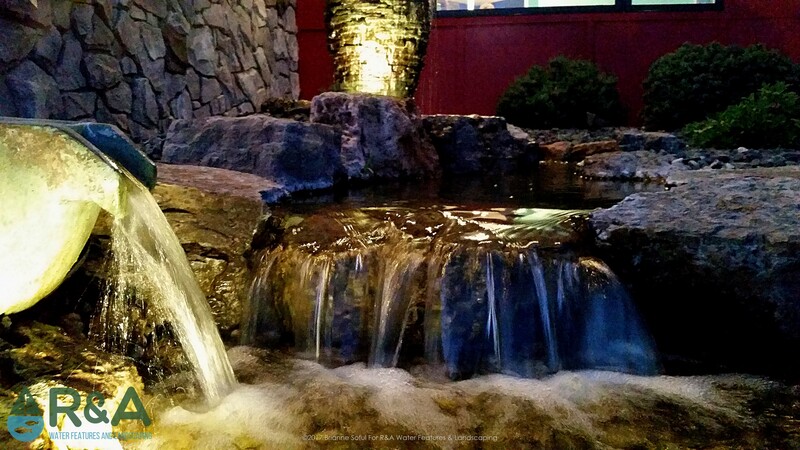 Along with the water feature, they wanted their entire landscape designed. 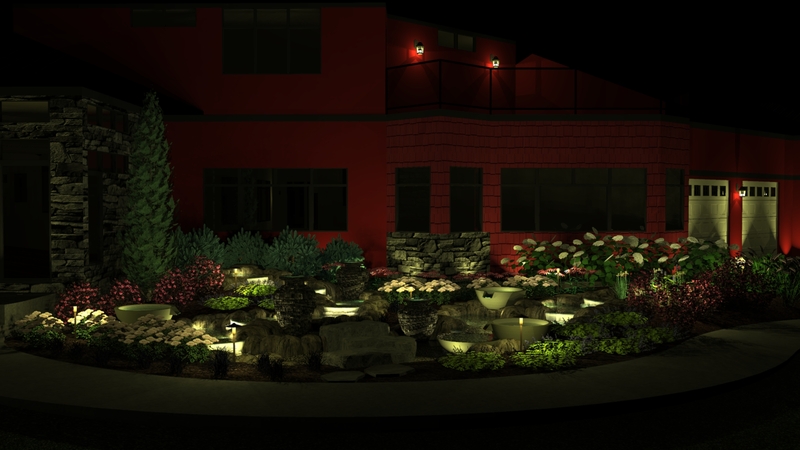 This project was broken into phases, the first phase included; unique water feature, walkway, and front foundation plantings. The second phase consisted of; composite decking, retaining walls and steps, and additional plantings. 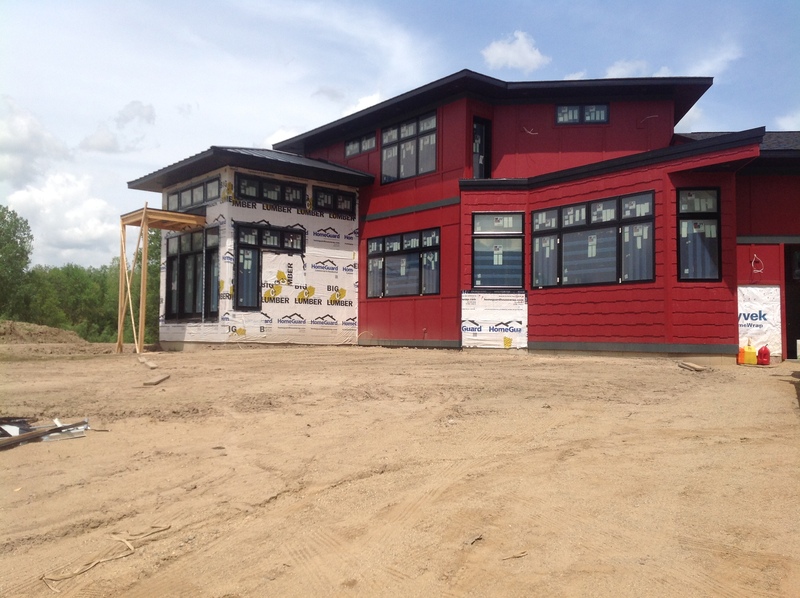 Future phases, yet to be determined, may include; a resort-style pool area, outdoor kitchen, fire pit & patio. The first phase, the unique water feature, was a combination of stacked slate urn fountains, spillway bowls, waterfalls, streams, and a pondless area, which would hold some water for kids to splash around in. 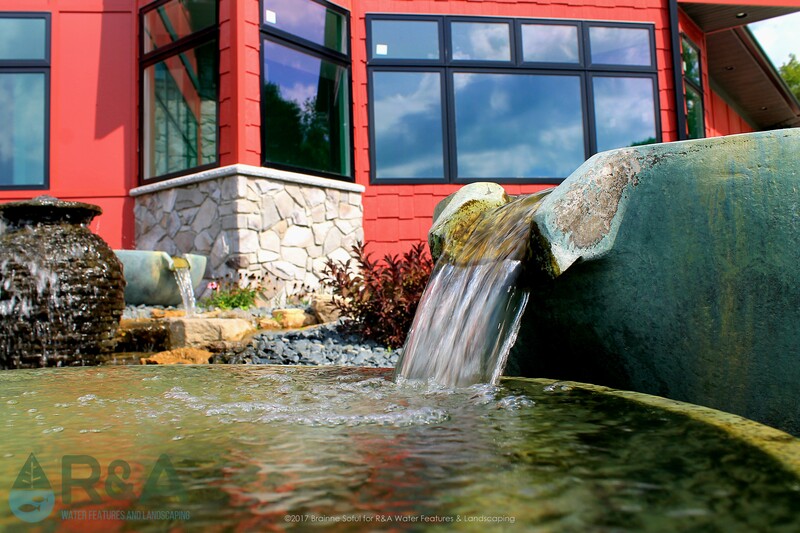 The urns & spillway bowls give additional filtration to this water feature, and both fountainscapes add a different dimension to the sound, which can be heard from the sundeck above. 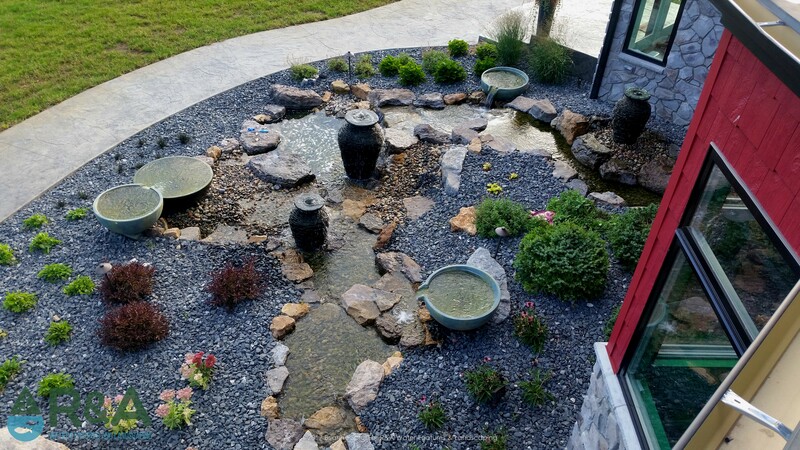 Now this Vicksburg family can relax and enjoy quality time with their kids, near their one-of-a-kind water feature, at the end of a long day. 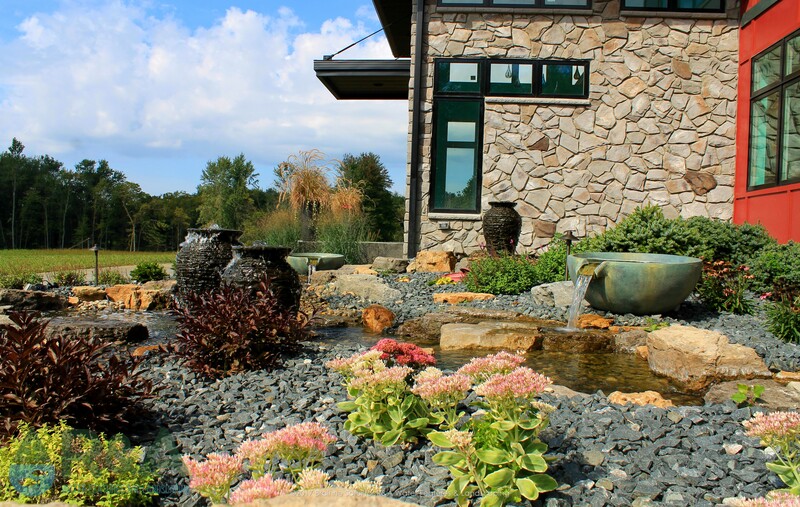 Are you in need of a landscape design for your home, maybe a water feature, or maybe just looking to add to or renovate an outdoor space? We can help! Be sure to follow us on Pinterest and Facebook for new ideas and inspiration. You can also check out our Houzz page, featuring recent projects and client reviews. Contact us today to get started on your next outdoor living project!